Hi ladies, It's Flóra here today. 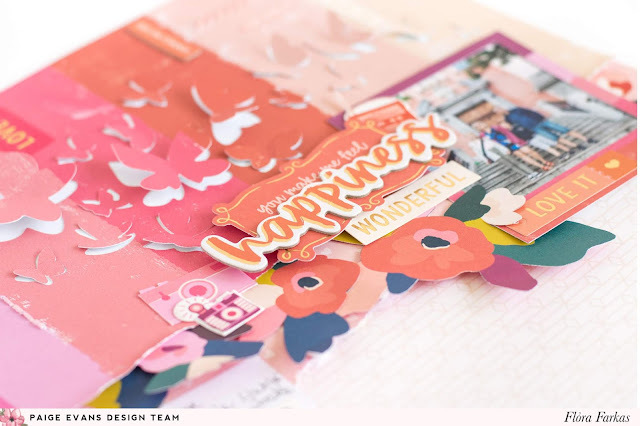 I am sharing my new layout made with the Pick-Me-Up collection and Butterflies Border cut file. I cut out the lovely butterflies from Paper 24 and tore the paper across the middle. I adhered this piece onto Paper 22 and between them added a piece of Paper 16. I glued all the butterflies back in place but added adhesive only in the middle to create a 3D look and put them at a slight angle so the background looks more interesting. I added my photo on the right in an Ephemera Die Cut frame along a title on the left. 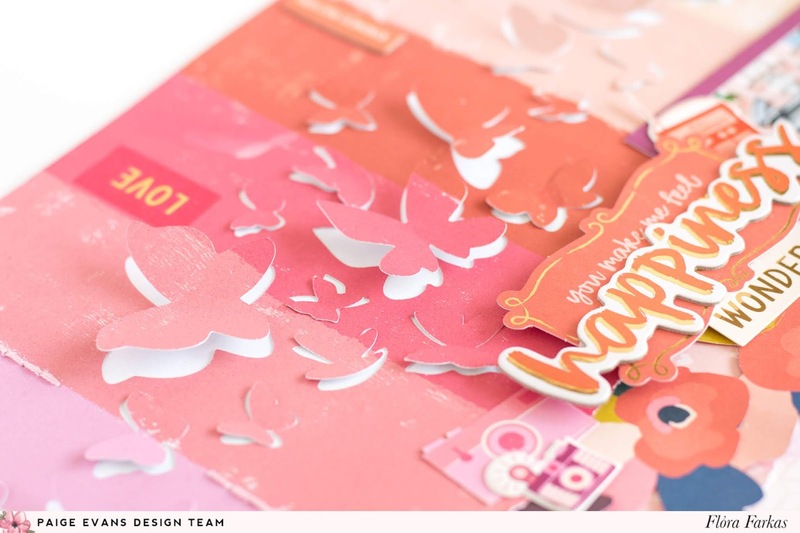 I used Ephemera Die Cuts, Stickers, Puffy Stickers and Chipboard Stickers to embellish. Between the layers I added fussy cut flowers from Paper 02. To add more details, I adhered Chipboard Stickers and Washi Tape pieces on the top section following the tone-on-tone technique. I also made random hand stitches here and there. In the end I wrote my journaling on a Journaling Spot. I hope you like my new scrapbook page! Thanks for stopping by! Happy crafting!